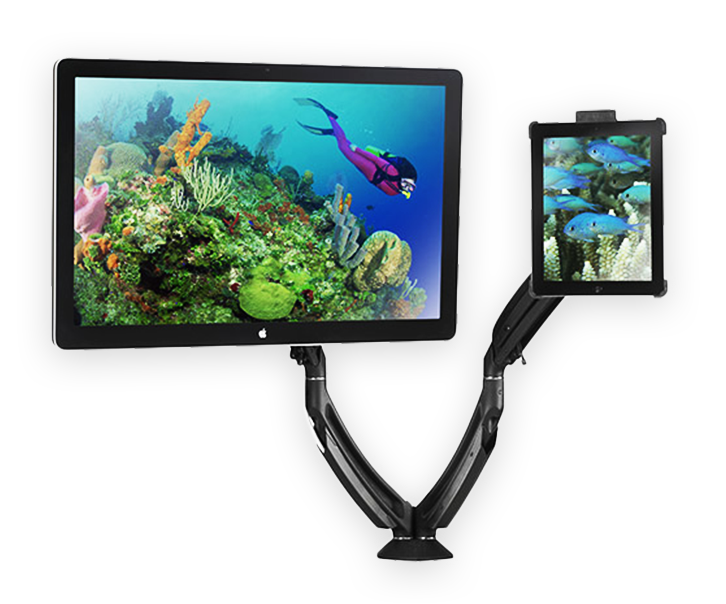 The iPad Mount, brackets and adapter plate ensures an iPad can be mounted to any wall, desk, and pole mount. Options are available for the iPad 1, iPad 2 and 3rd & 4th-gen iPad. This is a crisp, modern, flush iPad mount design which has great aesthetics for hospital, boardroom or home control applications. It comes with security hardware for theft prevention, making it safe & secure. This iPad Mount has a minimalistic design and durable functionality. Ideal for a clean, professional look in many different areas.